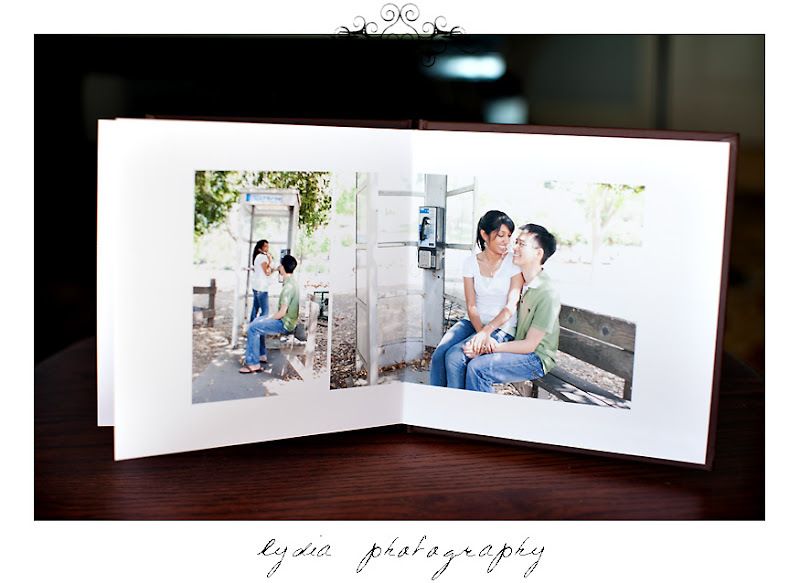 One of the things I love about engagement sessions are the resulting guestbook albums! 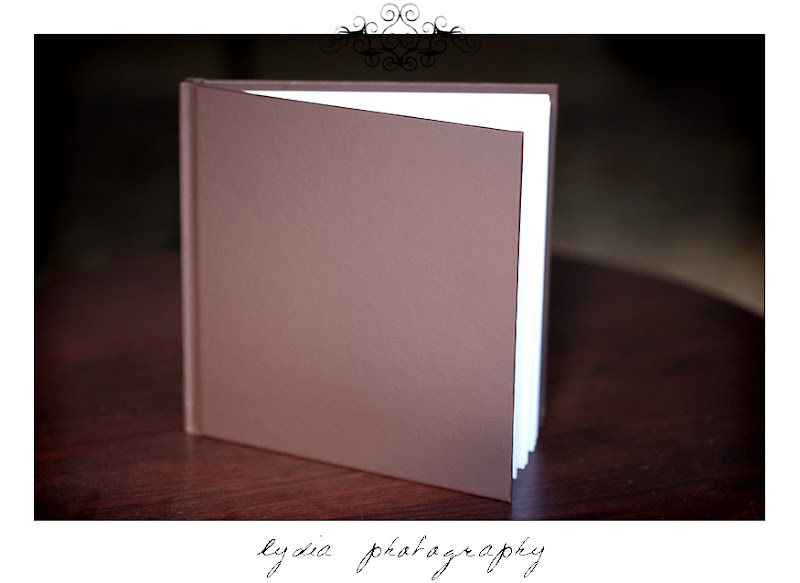 Instead of your typical small book with blank lines, my brides and grooms receive a beautiful 8x8'' linen album filled with pictures from the session as well as blank space for guests to write notes. 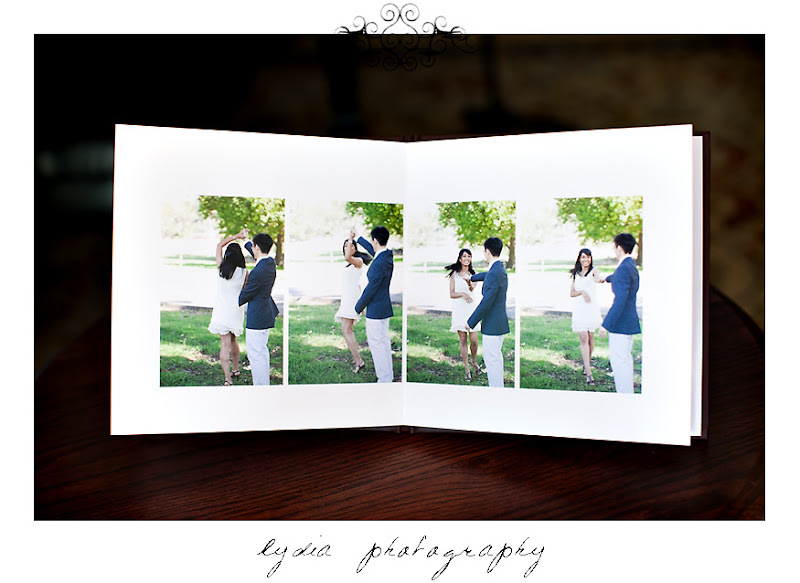 You just have to watch out because your line will be out the door as guests look at each picture! 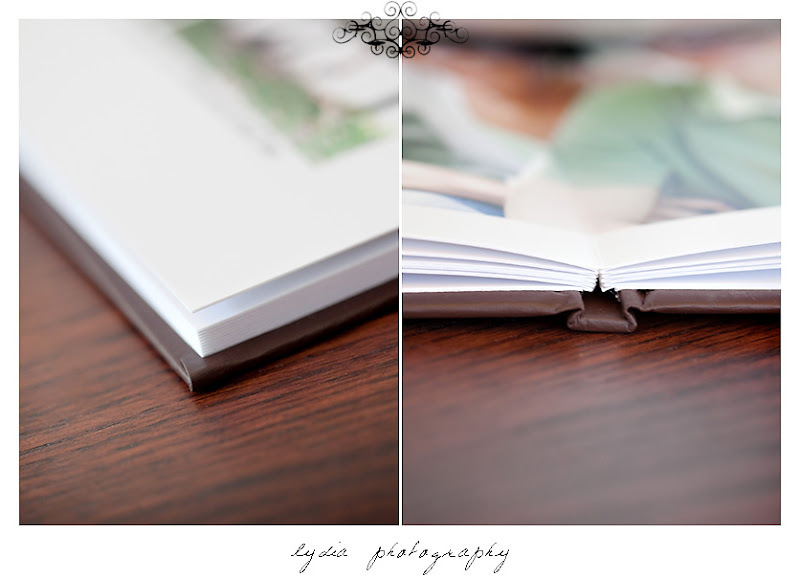 The pages are stiff and sturdy but still lie flat when open! I recommend planning a night after you come back from your honeymoon to put your feet up, grab your favorite drinks, and together read all the notes from your loved ones! hellooooo gorgeous!! 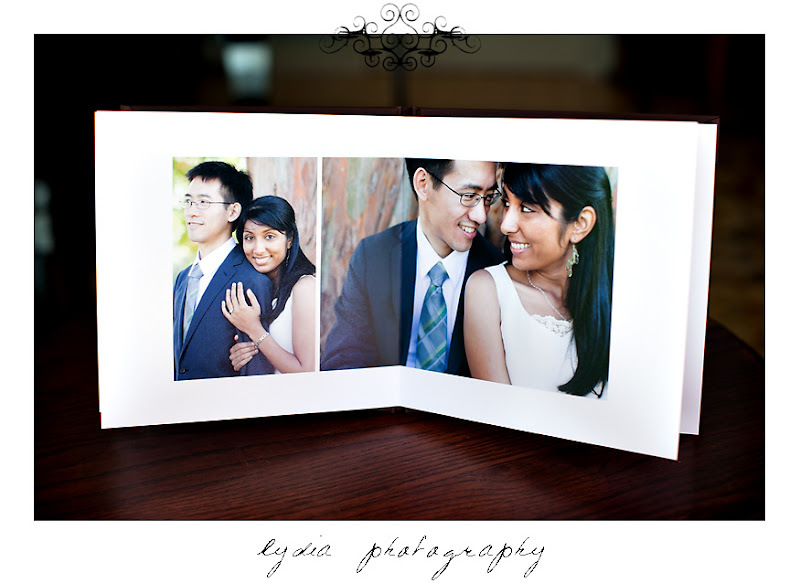 Love this Lydia! Wow, nice album. 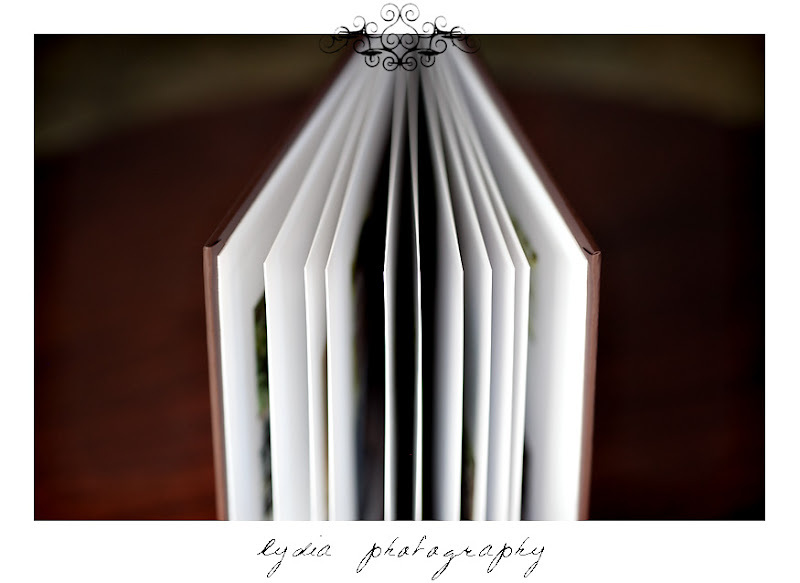 Ilike how big your photo's are while still leaving plenty of space for names & notes. I love them too! 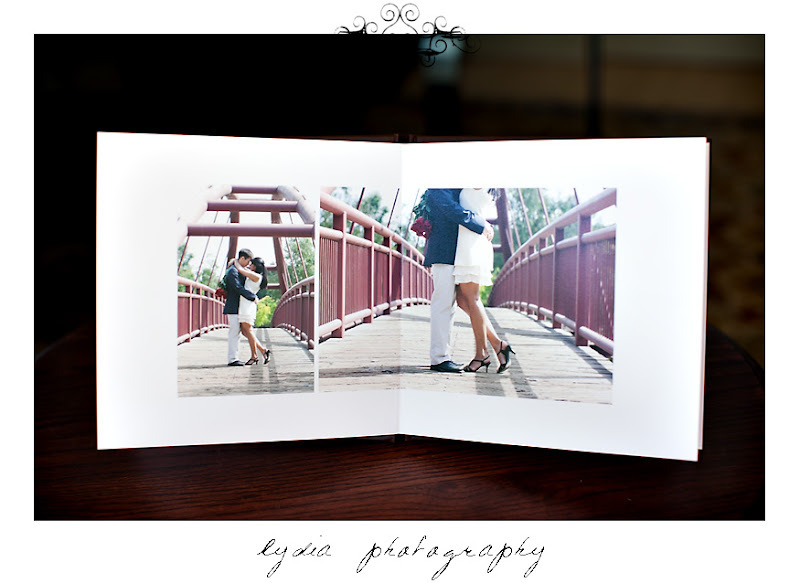 My brides also love the framed picture with signatures : ) Whatever makes them happy makes me happy too! 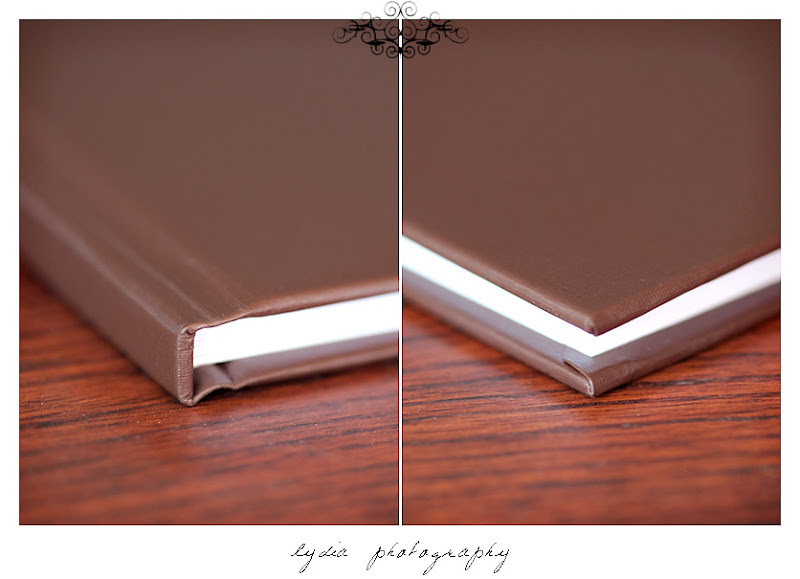 love this idea of a beautiful book that is multi-purposeful!